How to buy the best large car - Which? Lost in a sea of saloons? Our expert guide shows you what to consider in your search for the right large car. 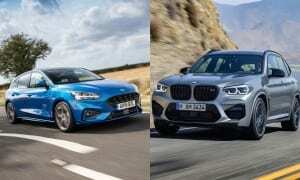 From good-value motorway mile munchers like the Ford Mondeo to premium models like the BMW 3 Series, there's a large car to fit most needs and budgets. Our expert guide for buying a large car will show you what to look for and consider. To see the large cars that excelled in the Which? test lab check out our best large cars page. Whether you buy a saloon or hatchback depends on many factors, but boot space and versatility is the big difference. Hatchbacks usually trump saloons, not just in terms of sheer carrying capacity but also with through-loading into the cabin area, although saloons tend to offer greater security for luggage with their separated-off cargo compartment. Some saloon models can be specified with a folding rear seat, though this is normally an optional extra. Premium brands tend to stick with saloons, while the mainstream brands prefer hatchbacks, although there are exceptions. Most large cars are only available in one body style or the other these days. There are a couple of cuckoos, too. The Skoda Superb is a hatchback whose boot lid can also be opened like a saloon's, for example, and the VW Passat CC is one of a new generation of saloons with swoopy coupé styling. Minimising running costs is an issue that all owners should be aware of. 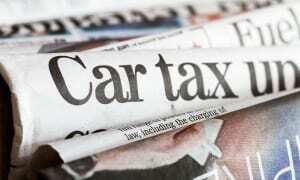 As well as fuel consumption, insurance, servicing and parts, you need to consider depreciation (loss in value). This tends to be steeper than average for big saloons. Even sought-after cars like the VW Passat will only be worth around a third of their list price after a typical three years and 36,000 miles, while the worst examples could be worth as little as 20%. You need to do your sums carefully before you buy. The whole point of large cars is the amount of space that they offer for passengers and luggage. However, not every car that's large on the outside is quite so big on the inside. For example, you might be surprised at how cramped the rear seats are in the Audi A4, Lexus IS and Mercedes C-class. Our practicality kings include the BMW 3 Series, Ford Mondeo, Toyota Avensis and Skoda Superb. The majority of large cars sold in the UK are diesel powered at the moment. Modern diesels have plenty of pulling power, so they're rarely a compromise next to petrol versions, but their appeal is economy-related - fuel efficiency but, in particular, the tax benefits that come from lower CO2 emissions. The best large diesels are now rated below 100g/km of CO2 and qualify for the lowest tax bandings. However, do be aware that this may change in coming years, as the air quality implications of diesel (notably emissions of nitrous oxides and particulates) are addressed, and incentives may be withdrawn or even reversed. Some local authorities are now charging more for residential parking permits for diesel-engined vehicles, for example. The latest petrol engines are very efficient, too, and the price premium of buying a diesel - and diesel fuel - can sometimes take years to claw back through lower running costs unless you do a very high mileage. Our petrol vs diesel buying guide will help you work out which type of engine suits you best. Should you buy a mainstream or premium brand? Your decision should not be based solely on the list price. Yes, mainstream models are priced more cheaply than premium ones, but premium cars often depreciate more slowly, so the overall cost could be lower. On the other hand, premium cars typically need a lot of expensive options to reach a desirable specification. And discounts are typically less generous from brands like Mercedes-Benz than they are from Ford or Peugeot. Our car reviews include a target price that you should aim for. It's vital to specify your car correctly if you want to maximise its value and appeal when it comes to selling it on. Large car buyers expect metallic paint, climate control and sat nav, while leather upholstery is a very worthwhile option if it's not overpriced. Certain brands really suit automatic transmissions as well - Mercedes is a prime example. Other options worth considering include parking sensors, an upgraded audio system and cruise control. However, a sunroof, mobile phone connectivity or body styling packages are less important when it comes to re-sale values. Large cars can be among the very best cars to drive on the road. Models such as the Audi A4, BMW 3 Series, and Mercedes C-class are responsive and engaging to drive, and deliver superb performance and agile handling. New 'green' technology is rapidly entering the large car sector, and it's something that should definitely be on your radar. Hybrids - cars with both conventional and electric engines - have been around for some time in the form. The Toyota Prius was a pioneer of the technology. There's also a new breed of 'plug-in' hybrids (PHEV), which have batteries that can be externally charged from the mains, extending the range that they can cover on electricity before the combustion engine has to kick in. The benefits are very low overall CO2 emissions and high fuel-economy figures. as well as the likelihood that they will be exempt or charged at a lower rate to enter forthcoming city centre low-emissions zones, for example. 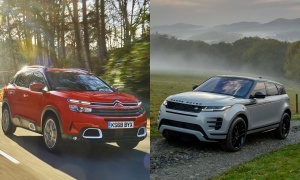 Newcomers in this field include the Toyota Prius Plug-In Hybrid and the diesel-electric Volvo V60 Plug-In Hybrid; there are also plug-in hybrid 4x4s and SUVs on offer, such as the Mitsubishi Outlander PHEV. Ride comfort and noise insulation are important factors for many large car buyers, particularly for those covering big mileages. Here, the cars that are sportiest to drive are often all at sea, particularly if you specify large alloy wheels with low-profile tyres and sports suspension. Indeed, surprisingly few large cars score top marks for ride comfort; one of the best cars in this regard is the Mercedes C-Class. 10. How about an estate car? Large saloons will always occupy a special place in car buyers' minds, but in many ways an estate body style might make more sense. For some, this will have the wrong image, and estate cars do cost slightly more than the equivalent saloon for their additional practicality. For the lowdown on hundreds of new and used cars read our expert reviews.